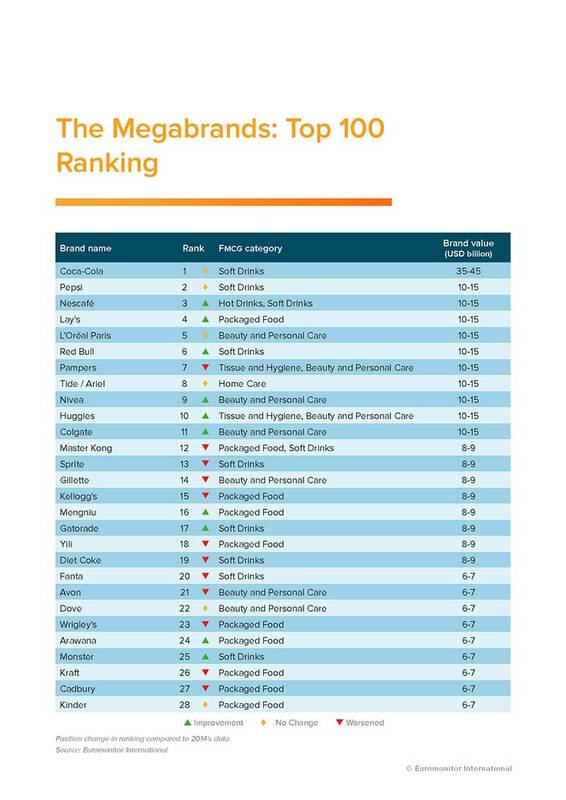 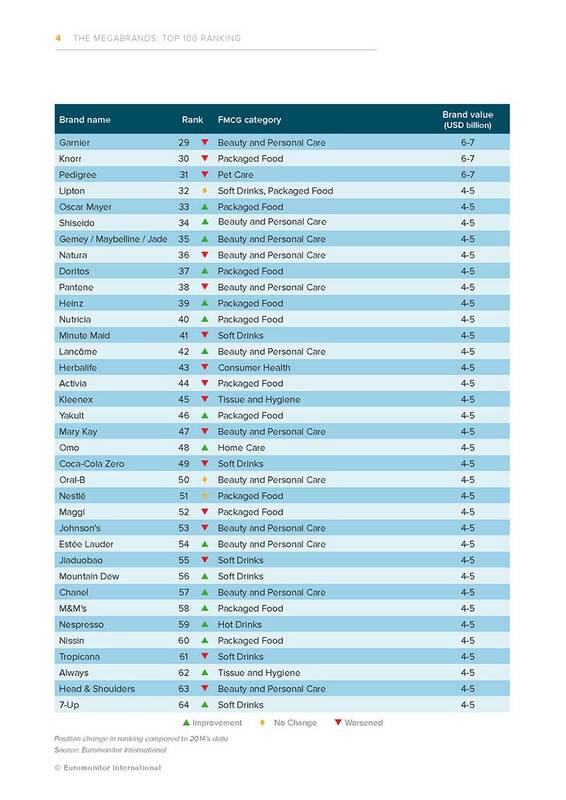 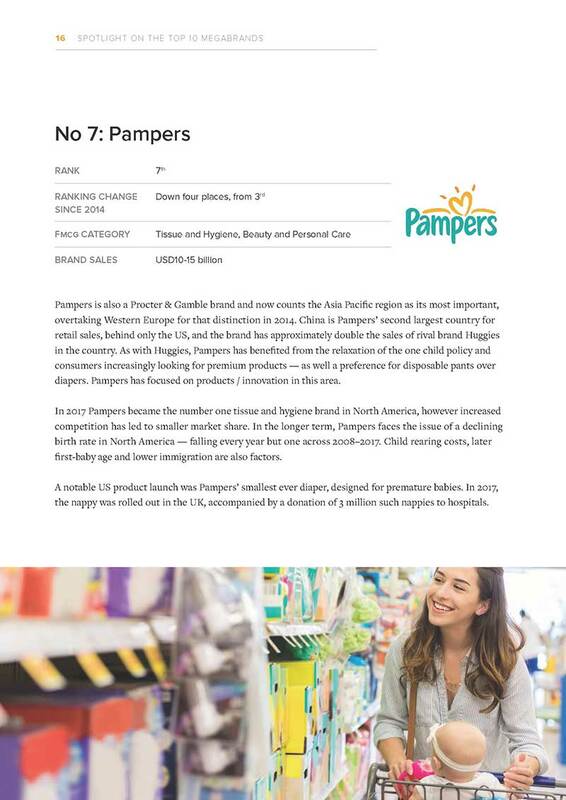 Euromonitor International’s megabrands report is a ranking of the top 100 most successful fast-moving consumer goods (fmcg) brands worldwide. 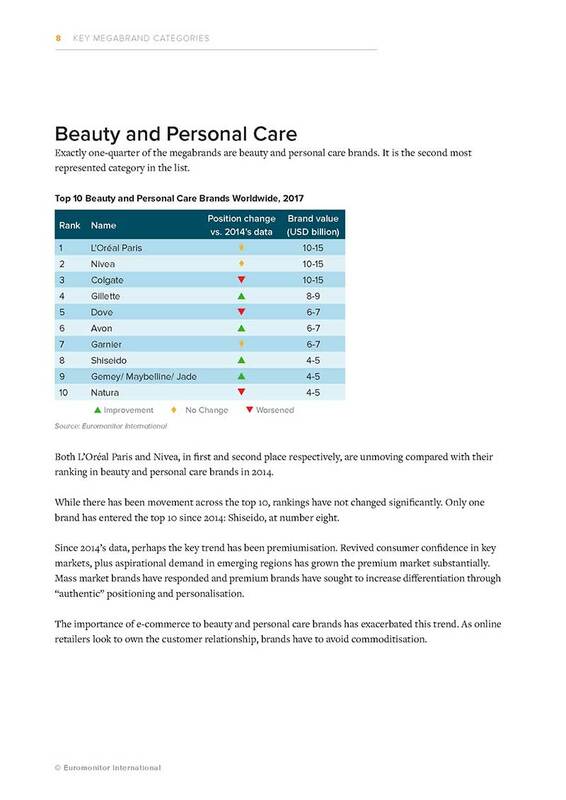 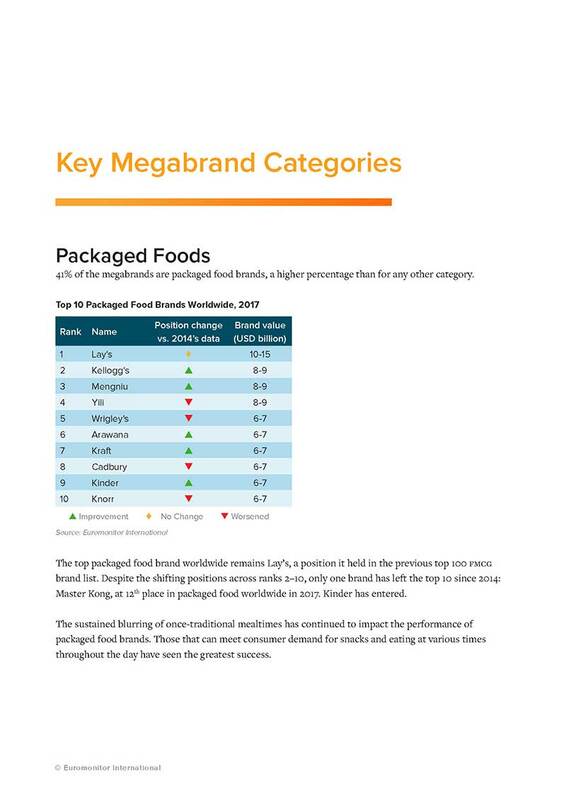 In this report, fmcg encompasses packaged food, soft drinks, beauty and personal care, consumer health, tissue and hygiene, home care, hot drinks and pet care. 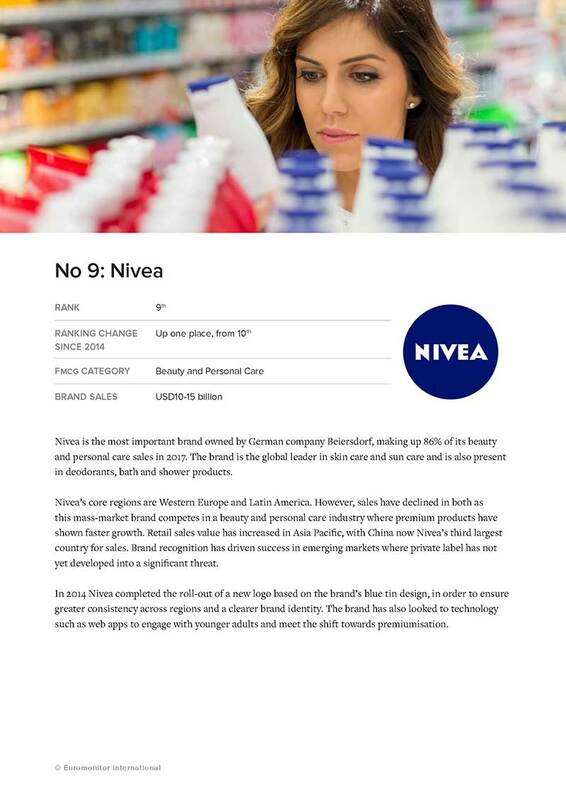 Each of the brands making it into the top 100 qualifies based on their retail sales value for 2017. 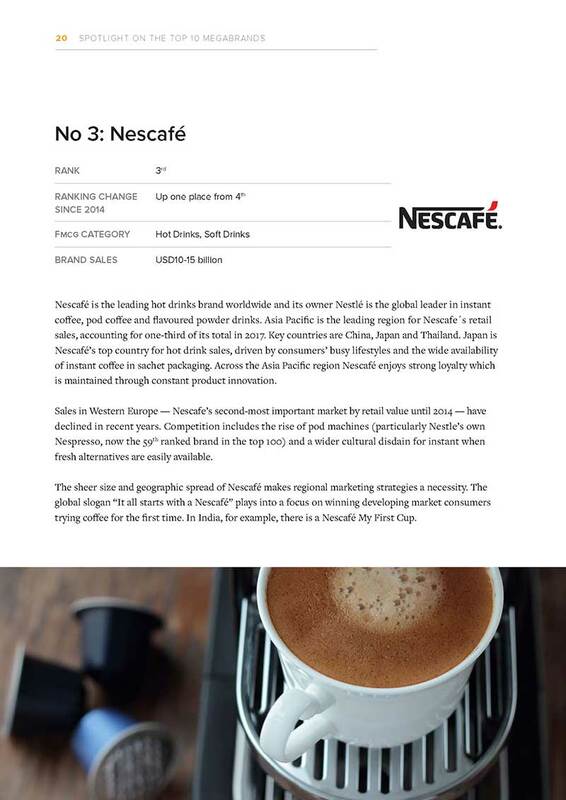 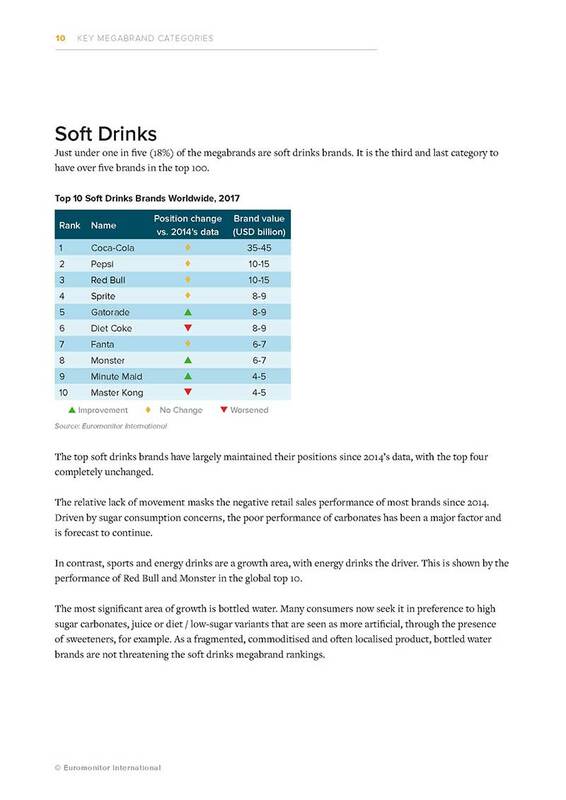 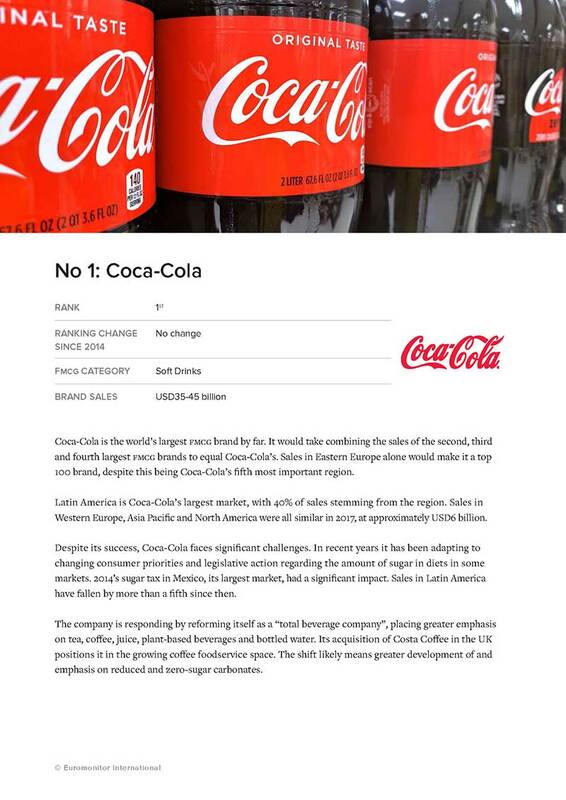 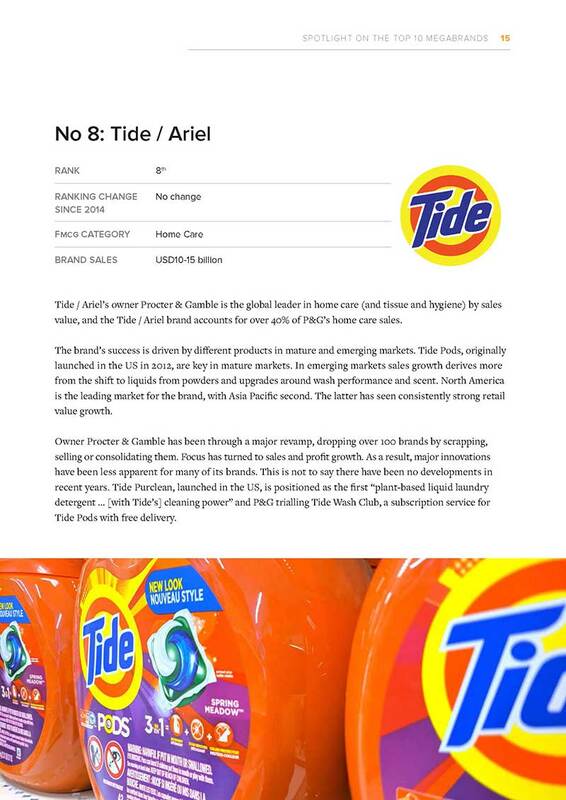 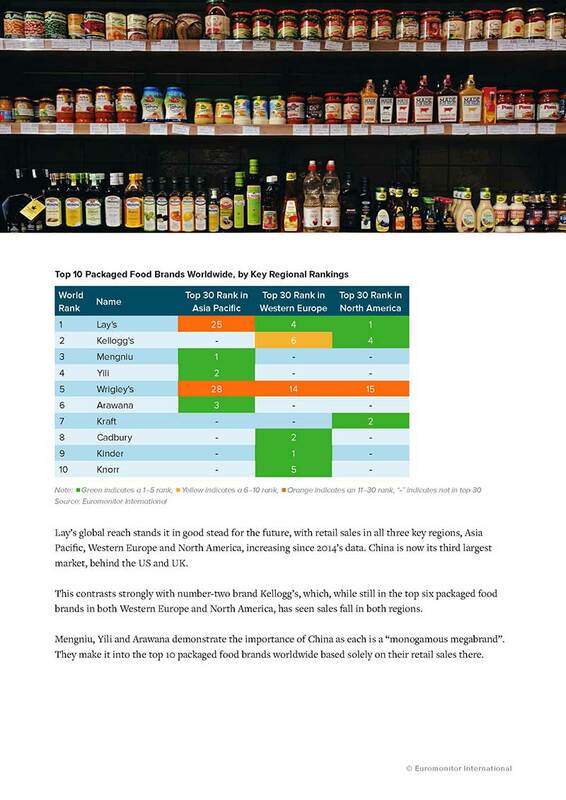 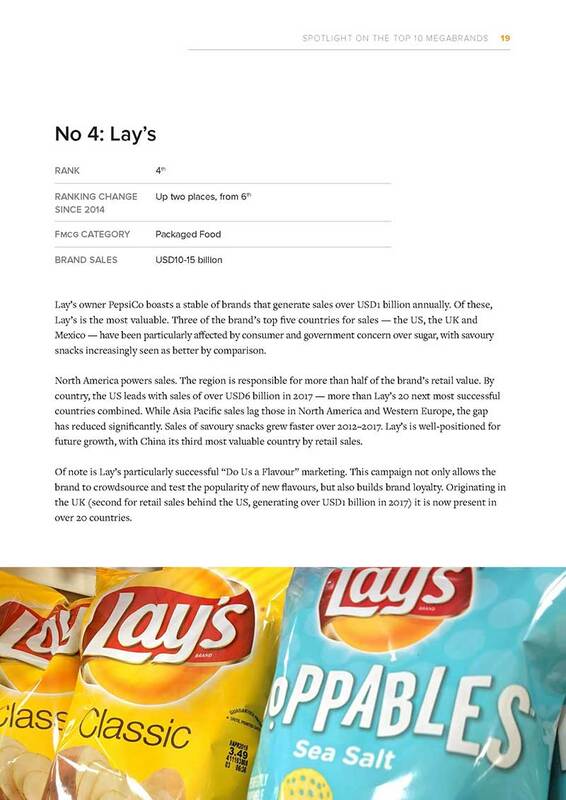 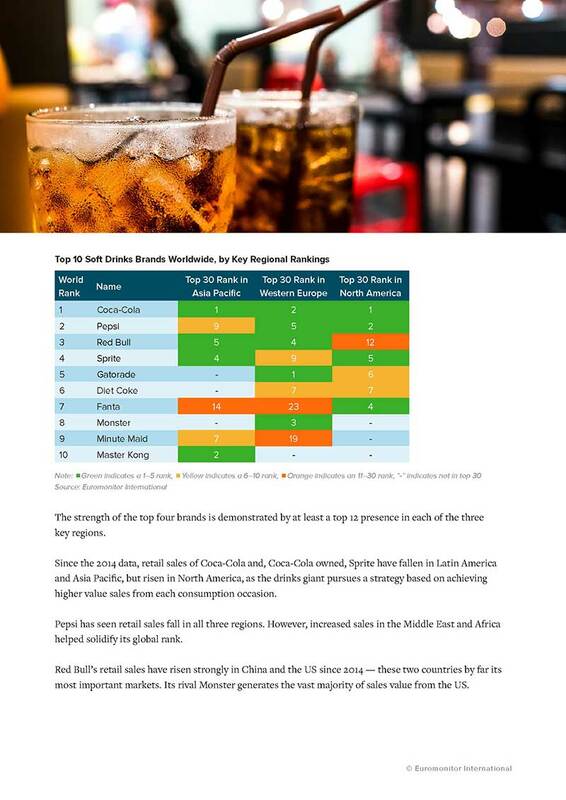 It follows a Billion Dollar Brands report we published with the European Supermarket Magazine in 2015, allowing us to compare the positioning of companies today with a historic ranking featuring 2014 data. 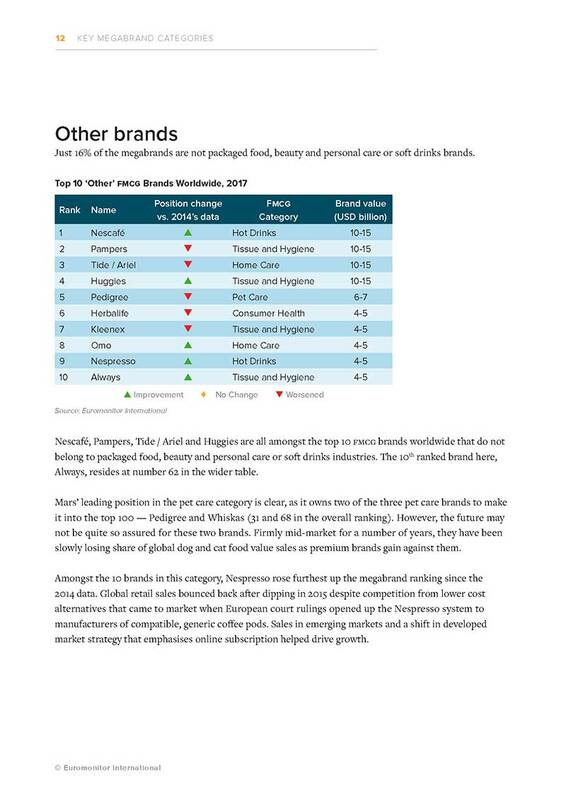 While several major brands have maintained their ranking for some time, the balance across the list is shifting. 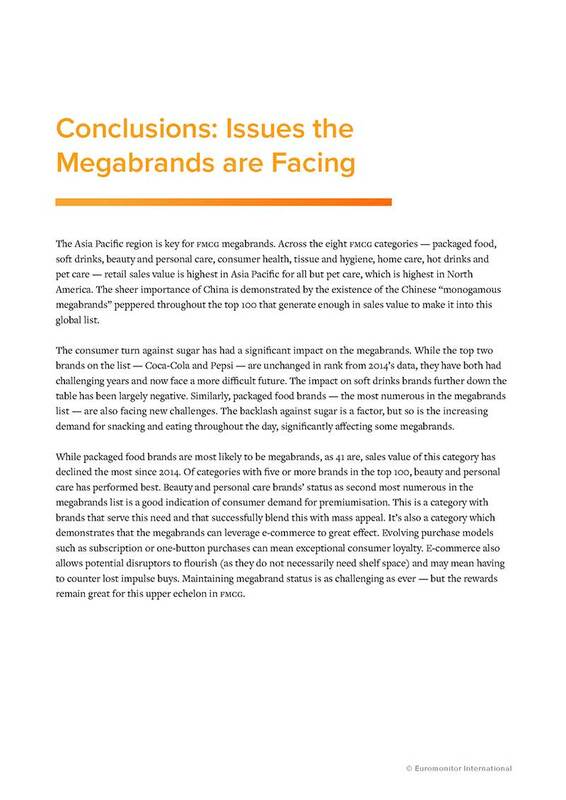 People’s attitudes to health and premiumisation are evolving and brands that cannot meet new realities have lost out. 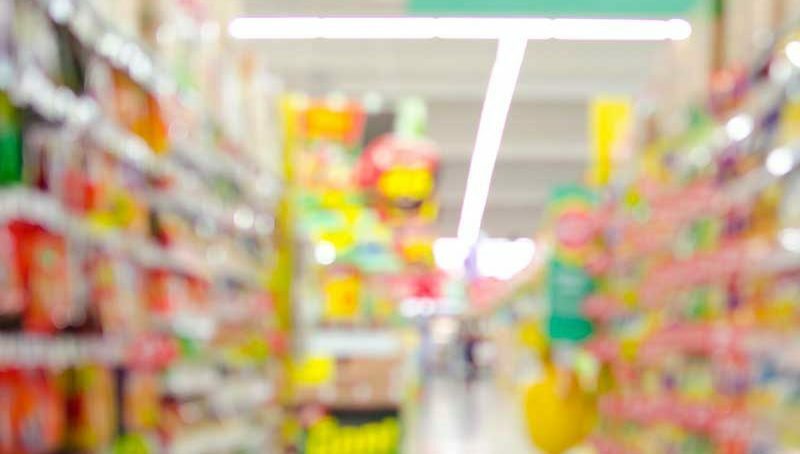 Changes in how people research and shop online are having a profound impact. 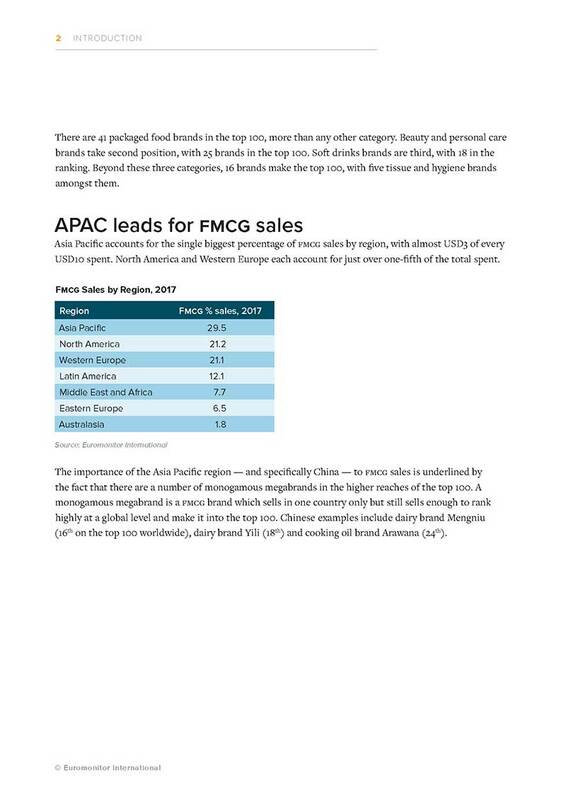 Also, the importance of different regions of the world has changed for many of these megabrands, raising the question of where companies should focus their resources most effectively. 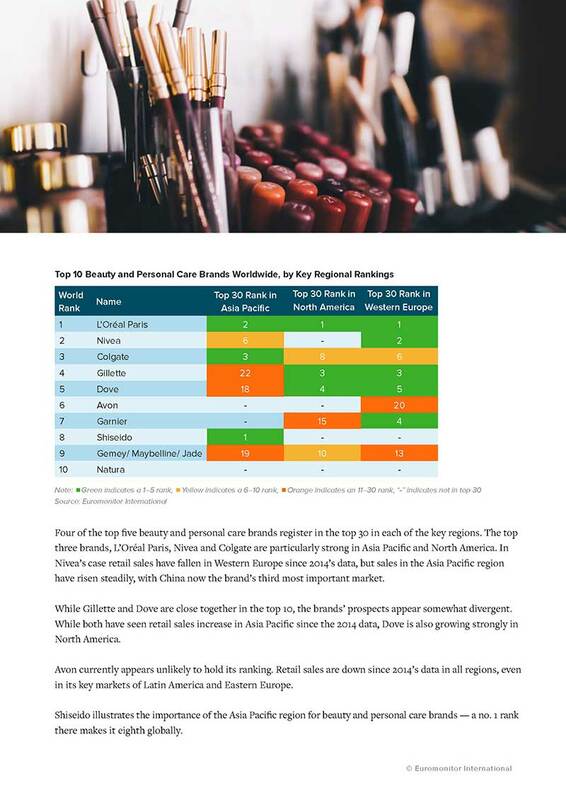 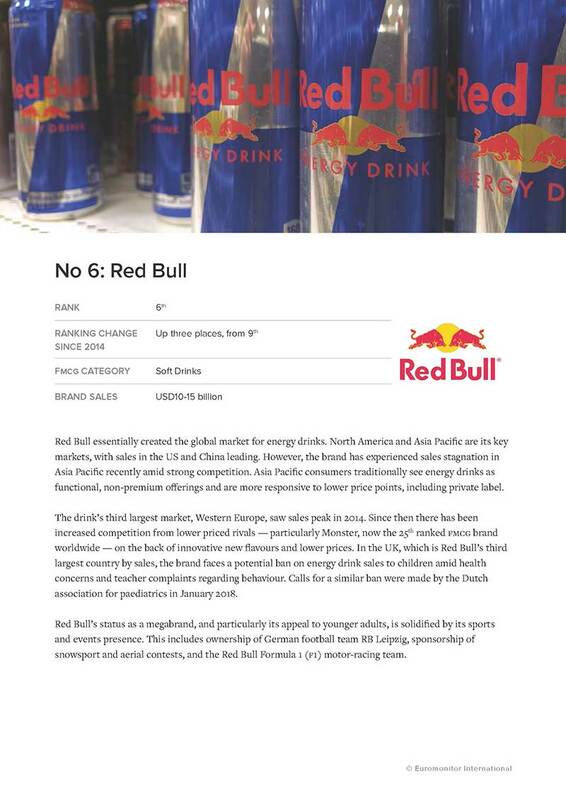 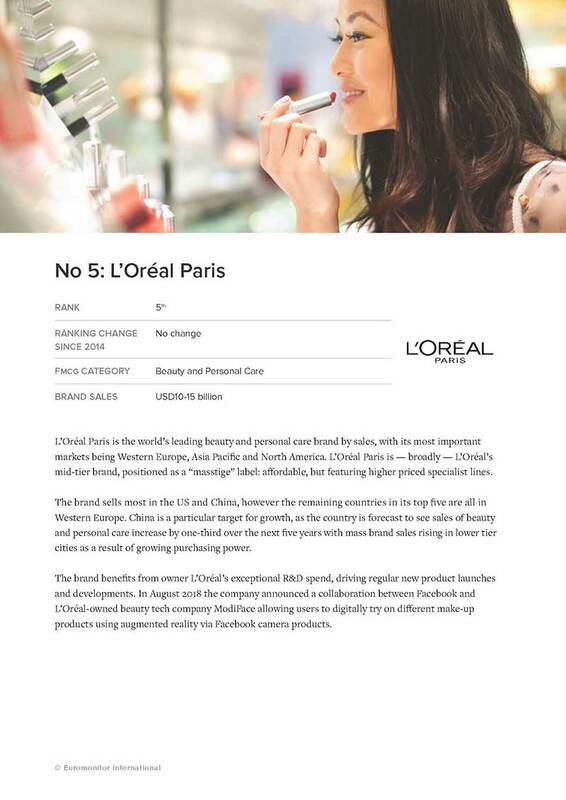 Please note that in the situation where more than one legal entity owns a global brand — for example Red Bull or Avon — sales have been combined to indicate brand strength on a worldwide level. 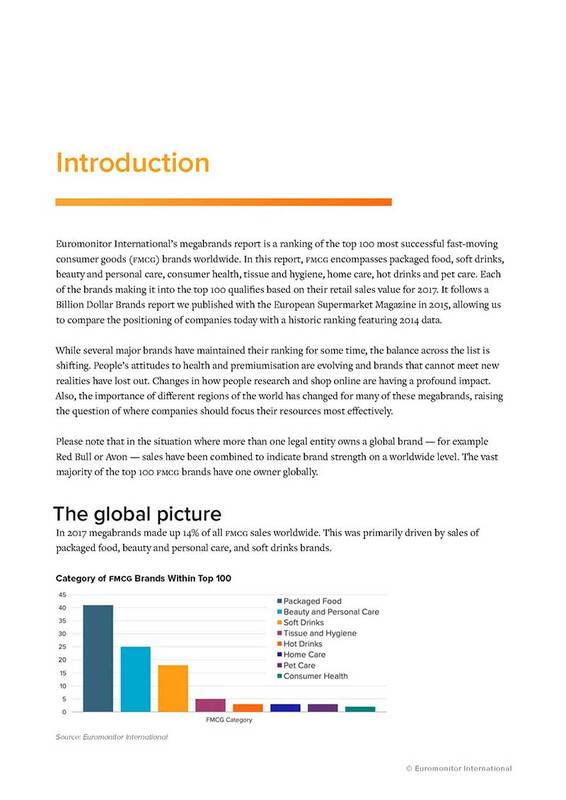 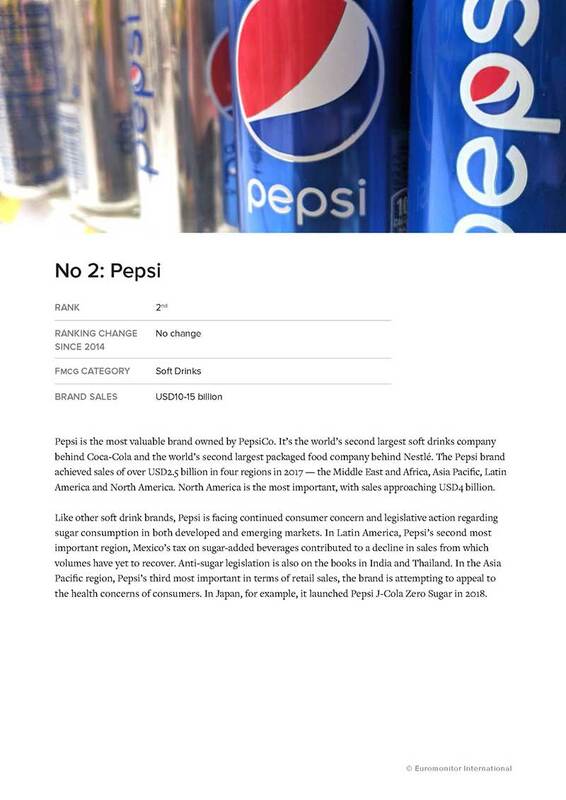 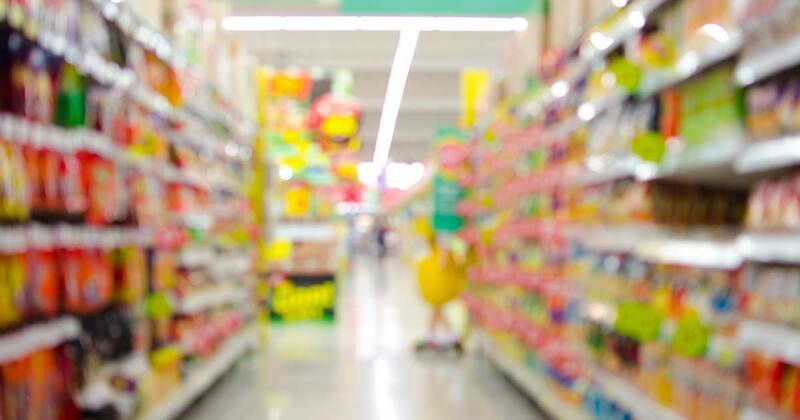 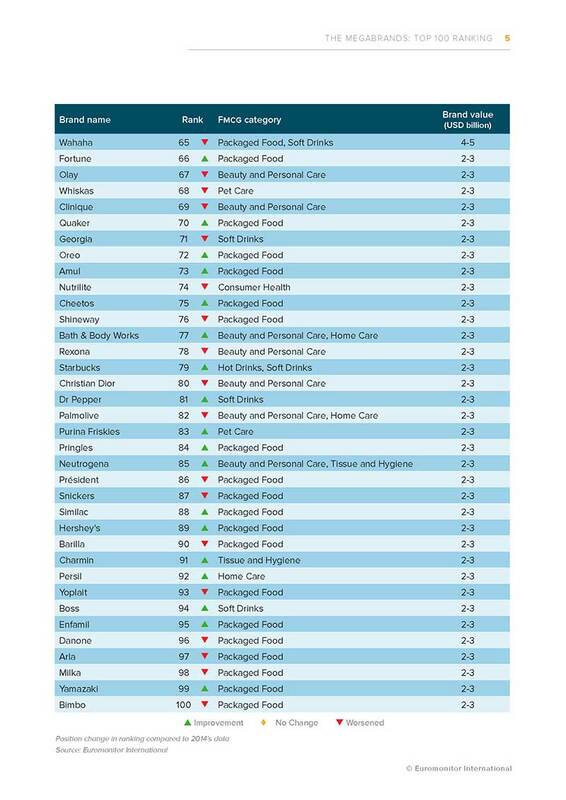 The vast majority of the top 100 fmcg brands have one owner globally.